What's wrong with this file? THIS CODE IS FROM A PROGRAM CALLED BLENDER CYCLES...IT WORKS...BUT DOESN'T WORK WITH THE AMD OPENCL COMPILER,...IN THE BLENDER COMMUNITY SOME BELIEVE THAT THIS CODE IS PROGRAMMED USING CUDA SYNTAX, OTHERS BELIEVE THAT THIS CODE IS GENERIC ENOUGH FOR BOTH OPENCL AND CUDA,....PLEASE MAKE YOUR JUDGEMENT!!! * your own new ray types and bitflag values. where can we download blender cycles? Maybe it's easier to answer your question after we know how this file causes trouble. I am able to compile the "kernel.cl" and create a kernel object (clCreateKernel) for "kernel_ocl_path_trace". I see that one of the kernels is commented in "kernel.cl" (kernel_ocl_shader). Hope this is intended. I am on a windows 7 64-bit system with AMD Cayman GPU. But the application is 32-bit only. While compiling kernel.cl, the maximum memory usage of the application was ~525MB. How much memory do you have on your machines? I will post the exact code snippets that I used in the next post. Here is a copy of the host code that I used to compile in Windows using Visual Studio 2010. Note that OCL is a helper C++ class that I use for internal use. It just avoids the hassle of complex initialization. Since the peak memory consumption is 512MB, this can be a problem if your application has already loaded a lot of memory (in the form of images or frames or any others). As a workaround, Consider compiling the OpenCL program at start of day -- before loading any images or frames or whatever. Once the compilation is done, the memory consumption goes back to normal and hence you will have enough memory to do your other operations....This can be a workaround. I have 16gb of ram. This code is an addon that belongs to a free open-source, software called blender which itself is written in python, c, and c++. A developer named Brecht Van Lommel et al, created a path tracing renderer in blender, with the aim of realistic lighting and shading for 3D animation(artist). As you may have gathered this addon is aimed at working on opencl, cuda, and cpu platforms(maybe more(despite its good feature set it is still in beta)). Sadly, for AMD GPU users the opencl functionality does not work as it should i.e. memory peaks beyond 16gb ram when trying to compile the opencl kernel, it also produces a kernel path trace error. I have far less RAM on my machine... Probably just 4G. I guess your app (or python script) is loading other objects that is eating up lot of RAM. Can you pre-compile the OpenCL code before loading the objects? That can help. Please let me know on this. Can you please re-post it? developer: download Blender 2.63 http://download.blender.org/release/Blender2.63/. Enable OpenCL device in file->user preference->system. Download this scene http://dl.dropbox.com/u/1742071/1m/BMW1M-MikePan.blend open it. Then click render button. It should begin compiling kernels. It takes GB of memory. I am using a Win64 box with AMD 6950 GPU (Cayman) here. Nazim was talking about an add-on. Does the link given by you contain that add-on? oiow, Can I reproduce what Nazim is saying with your steps? OR Are you just suggesting the high memory usage? In any case, I will try this out this week and let you all know. Yes Nazim want working Blender Cycles render which utilize GPU through OpenCL. You can also try 2.64 http://download.blender.org/release/Blender2.64/ but not 2.65 as this version have disabled OpenCL tracing. With this it clogs my 8GB of RAM. Then I killed it manually. http://dl.dropbox.com/u/1742071/1m/BMW1M-MikePan.blend - I am unable to access this file. If there is a spell mistake in the URL, can you please correct and post a new one? Thank you. As far as Nazim's steps to repro, the initial test on the fix-driver has been successful - at least no crash. I will need some more time before I can fully commit on this. At the same time, for the 30GB memory gulp issue - I would like to test this with the blend file you had posted. However, I am unable to download the mikepan blend file. Can you post it here? It will be useful to test further. Also, if you could just post the steps to reproduce with the blend file, it will be useful. giving you an ambient occlusion style display without any materials. Will the steps provided by Nou sufficient to repro this problem? Please help me reproduce the problem. I will definitely work with you to get this resolved. Is the behaviour observed in Linux or windows? Or both? 32 or 64bit? or both? By __KERNEL_OPENCL_AMD__, Do you mean a "Compiler" option that I can enable in my previous repro attempt? once downloaded unzip open "blender.exe"
press spacebar on keyboard type "user preferences"
change the device from "CPU" to "OPENCL"
Thanks for the detailed steps. I will first confirm the repro and then will forward the issue to the correct people. Thanks! I want to confirm issues with OpenCL on Ubuntu x64 with HD7950 Tahiti card. Compilation of kernel takes also looong time and memory here. Additional issue is startup time of the finished OpenCL kernel and its memory usage (my memory usage jumps to 30GB of RAM before start of render) until it actually starts doing something. Then rendering is fast enough but together with loading/startup time it takes longer than CPU render. Very simple scene takes 1 minute to render on CPU and 4 minutes on GPU !!!! When you read some blogs and forums about issue of Blender + OpenCL conclusion of Blender development team is OpenCL is unusable for out purposes. This way AMD is loosing considerable number of customers to NVidia. Blender is very popular SW used also in professional 3D production and all of those guys buy NVidia cards to get GPU acceleration. I do not know if kernel is poorly written or it is problem of OpenCL compiler or AMD driver, but "official" statement from Blender devs is AMD compiler doesn't work for bigger kernels + some other minor reasons. Very disappointing for all of us AMD guys out there. If you need some help from me (additional tests or more detailed report) I am willing to invest some time to make this work. Just don't have experience with OpenCL. "The environment variable CYCLES_OPENCL_TEST can be defined to show it, which can be useful for developers that want to test it." After that use steps in picture from Nazim Mer. We are looking into this issue. After repro, we will forward to the right team. Thanks for your patience. We can get this working together. I could reproduce the problem on my Windows 64 setup. I clicked on "view more details" in the windows error message and got crash details. See the excerpt below. The fault module indicates the OpenCL runtime. Will forward this to an appropriate team for a detailed analysis. btw, when blender crashed, it was taking around 770MB of RAM. Hi at my place the OpenCL kernel is working. Problem is it takes long time to compile and takes 31 GB of RAM out of 32. I need to compile without any other software on (as I do not have swap on my system). But after compilation it seems to be working just fine. I tried this on a machine with 4GB of RAM... I followed the repro case given by Nazim (the one with screenshots). The application consumed some 800MB of RAM before crashing and there was still some free memory left. I am using 12.10 Cat Driver on Windows 7, 64-bit machine. AMD's engineering team is already aware of this issue and are tracking the same. FYI. At the moment, there is no known workaround. However, if the Blender team is open to optimizing their code for AMD HW, the engg team may be able to suggest some changes. For example, the VRay App that suffers from a similar issue got some massive improvements by moving to native functions. NVIDIA and AMD GPUs cannot be accessed using just NVIDIA OpenCL SDK. They will only show up in their own platforms, if an OpenCL implementation is found for them. I think the issue that Underhood is talking about is different from what you are mentioning. Hi i know swap is system thing. I just don't use swap on my system as I have 32GIGs of RAM. When Linux finds out it is out of memory then OOM killer kicks in and kills process that is using most of RAM (in this case AMD opencl compiler). As on my system it was using 31 GIGs of RAM so i had to close all other apps so I have enough memory. Anyway since update to latest stable linux driver from amd website it crashes anyway so basiclly with new driver it is not working at all. I understand. I might get a fix for testing soon. I will update this post, once it is done. Bumping in hopes of a resolution for this inexcusable situation. Cycles has been out for over a year and somehow amd still hasn't been able to update a silly driver to support some subset of the API. Just plain sad. If this issue is not resolved by the time nvidia 700 series come out, I'll have no choice but to change. This is not a threat nor a tantrum, I am just expressing how I feel here, I would very much like to continue with ATI, I just wont have a choice. I have not seen any post prior to this from you on this thread. So I have no idea what problem you are facing with AMD cards. The problem reported by nazim, was reproduced at our end, as is being looked into by AMD engineers. In case you have some different problem to report, please start a new thread out of it. Thanks for the hard word, and for keeping us in the loop. Feeling somewhat hopeful now, good luck. I believe the problem occurs due to limitations in the current driver from AMD because the Blender Cycles render using Nvidia OpenCL almost as well as CUDA. I have just got access to a test-driver. Will be posting an update soon. Thanks for your patience. AMD really need fix this as developer of LuxRender found similar issue when he implemented recursive procedural materials into LuxRender. In version 2.65 and probably on the next release too, OpenCL is / will be deactivated because of this bug. Notice that this bug DOES NOT APPEAR on NVidia GPU OpenCL implementation neither on Intel/AMD CPU OpenCL implementations. Long time to compile the OpenCL kernel. RAM usage going to the maximum, even crashing the program. Sometimes, a scene may render (Depends on the situation - Read the forums mentioned above) but the colors are wrong. OpenCL kernel compiling for each frame (If its an animation). OpenCL kernel compiling each time you click on render. Textures does not work with AMD GPUs with OpenCL. I hope this info helps you guys solve this issues. Blender is a very powerfull Open Source engine and it would be nice to see some support from your end to make it work properly on your hardware. Any questions, I'm here to answer. From the preliminary test of the bootleg driver, I hear from the testers that mikepan is working without crashing. I've made a little research. Textures problems were related to older versions (2.62 and before), and since 2.63 and above are not working with AMD/ATI OpenCL compilers at all (Some trick can be made here, but it didn't have the corrections of 2.63), I can't say for sure that textures aren't working. Maybe if you could test with your driver. Simple image texture on the default cube, rendered with Cycles on OpenCL for AMD. It's quite simple and there's a lot of tutorials out there. Remember to test on versions 2.63 or up. We all apreciate you effords, very much! I guess we are still stuck with the large memory requirements of the blender software. Although, the software is no longer crashing(with internal drivers), it is giving Errors while OpenCL compilation. I ran the blender software without BMW file. I checked the commandline window showing the log. It can be opened from the window menu in the blender. It gives "OpenCL compilation failed : Insufficient Private Resources!" I ran the Blender with Mike’s BMW file, and the program gives the same error again. I have not been able to see the rendered BMW using OpenCL. Blender always shows black screen, which looks reasonable as kernel compilation itself is failing. We are still working on solving this issue. Appreciate your patience on this. Thank you and the Engineers behind, looking to fix these issues. My guess would be memory leaking, from the OpenCL compiler. Perhaps it would be easier to debug the compiler by looking into Blender code, compiling it and deactivate piece by piece. Someone within the Blender developers should be able to provide assistance, if required. If you, or any of the Engineers could get in touch with the main Cycles developer, Brecht van Lommel, it might be easier to debug also. I can't state my appreciation for what you are doing for us. Thank you! You are most welcome. We can't thank you all enough for extending support and more imporatntly for your patience. I will venture into blender forums and see if I can connect the developer with the engineering team. May be, they could solve this easily. 1. I know Blender is written for CUDA as well. But, Have you ever compiled this for NVIDIA's OpenCL platform? The threads below shows the status and compares the rendering speed between CUDA and Nvidia's OpenCL on various platforms. It may be useful for research. Thank you Germano. Will pass it on. As I can see, mikepan blend (bmw) works on nvidia Opencl platform. I will see if I can get a local setup here to measure it.... But, if you have some ready made data - it will be useful. I don't have information about that. "It took 19 minutes and at its height consumed more than 6.5GB of RAM. using Blender 2.62 64-bit official release"
This site compares the time of the CUDA and OpenCL and teaches how to reproduce the tests. "If you enable all kernel features, at least 8 GB before it crashes here. When disabling most features and using an ambient occlusion only render, it's about 1 GB. The way I understand it is basically that AMD graphics cards do not support true function calls, everything must be inlined. This means the amount of code becomes so big that the compiler runs out of memory or some sort of GPU limitation is crossed. This means we either have to wait for AMD to find a solution to that problem and support non-inlined functions, or that we rewrite our kernel such that it's split into small pieces which would be quite complicated to do." Sorry, I no longer have nVidia GPU cards. Have you successfully contacted Bretch? Thanks! Yet to contact Bretch. Will do..Thanks. Have passed on Brecht's contact details to the engineering team looking into this issue. I think the team understands the reason why the compiler is running out of resources. They will touch base with Brecht, if needed. Hi Himanshu thanks a lot for efforts mad to make cycles work on AMD GPU. Maybe AMD engineer think 3D rendering isn't a good or big buisness and blender is opensource. But there is many reason to try make things work well for this software. 2/ For consumers AMD is an opencl prophet with it APU and HSA promotion. it is sad to see AMD work bad with opencl when Nvidia and intel work. 3/ AMD GCN arch are very good device for computing but hardware optimisation are not enougth driver support are needed. 4/ Many little studio are waiting for AMD opencl support in blender cycles to build new configs.My studio Too. PLEASE PLEASE delivere US ! There is an internal problem report and people are working on it. So, the issue is being looked at now and we are not going to leave you guys in the cold. The URL of this thread is under track and I will get back and post an update --whenever it is available. the reason seems to bee more than a simple opencl driver bug (optimisation).The Hadware too, need more improvement .and opencl is more difficult to set than Cuda. look at the last answer down of the post from "grimm"
if one days all theses renderer are full supported By AMD I will celebrate with lot of CG one my PC. Wait and see maybe all will be fix soon. Is there a reason why you say "hardware improvement" is needed? I don't see NVIDIA hardware radically different from AMD hardware. Except for the dynamic parallelism, possibly aimed at imbalanced workload - I dont see any major differences. In fact AMD hardware deliver much more GFLOPs and memory bandwidth than NVIDIA. Please share with us any hardware improvements - that you think is necessary from AMD's side. The big-kernel and function inlining are the chief problms - that result in "insufficient private resources" message. People are working to fix this. If this is fixed, i have very little doubts about AMD OpenCL running these renders as good as anybody else, if not better. I also believe no hardware improvements is needed. AMD's approach is very good at it's hardware level. On a personal note: For me, it is always more stable. About it's processor power on GPGPU, aplications that OpenCL does work (simpler ones), results are as good as nVidia and Intel, if not better, as said. This could be verified easily, with LuxMark and other apps. And that is keeping good performance also at graphical levels (gaming). AMD's issue is the way their OpenCL compiler works, from my point of view. I don't know if Himanshu is not telling us , but I believe is that for AMD driver to be able to handle complex OpenCL codes, like Cycles and other render engines, it's going to need MAJOR changes, things that *might* take months . From my personal experience, AMD has better hardware, drivers and support than any other company out there. I think that the issue with Cycles is now being repassed to proper Support and Engineers, as Himanshu tell us. That's why it could have gone so long without being fixed. Hello guy ! I'm fine! But I see that it make month and there no news about our matter.So I want to suggest something. To help us and all the CG community wait we must get some little info about how days after days people are working around to find solution.little info like comment on a work in progress. infos between AMD devs and BF (Blender foundation) collaboration.some news about prototype test or more little fings like Roadmap. pleae don't worry about this I only want to trust in AMD future. I can guarantee you that active work is happening here. Fixing cycles involves work at both OpenCL compiler level and also in layers beneath it. The work is pretty involved and will take a fair amount of time. I have not got any timelines from AMD engineers. But it looks like this is going to take a while. As I understand problem is that all function calls are inlined. But there exist CALL instruction http://developer.amd.com/wordpress/media/2012/10/R600-R700-Evergreen_Assembly_Language_Format.pdf so it just compiler problem. I'M Very Happy if it's only opencl code matter very happy ! Thanks you Guy for clarification. I'm newbie in hardware Arch way and my first opinion about AMD device since GCN is that they have solid hardware but some little matter of driver support that can change radically how people see them on the market.however in my previous post I've simply report BRECHT VAN LOMMEL words and the link from wiki. Just wanted to let you know that there are other people out there craving for a solution! Thanks for the efforts! AMD Engineers are working ******* making blender (and many other similar softwares) to work on AMD GPUs. I will post here if there is any progress. Smalllux GPU (another renderer that works with OpenCL) is still working perfectly. Attached a picture with the strangeness. Thanks for reporting. I have forwarded the issue to the driver team. Hopefully, it will get fixed. If this gets fixed, will Blender Cycles work on present AMD cards or will it anyway only be fixed in the next generation? As I understand from AMD engineers, this is basically software-stack issue. So, most likely that after the fix, things should work. But I cannot guarantee this. Could you please give us an update on progress made so far, if any? It's been almost a month since the last update now, and I would like to know more. I would request you to wait for the next driver release. As of now I cannot give any further information. great news all friends! after many try and retry session and moving from one render engine to another I finally find the holy grail of lightspeed rendering under AMD GCN GPU.of course i try indigo render RT / Luxrender / and finally SLG. but who's the winner. I7 2600/HD 7950 royalking/16gb ddr3. all the test are mad with only one of the GPU because i must change my motherboard and my power supply before setting the second HD 7950 in the beast. I will post rendered image and tutorial about SLG later. but i think every AMD user must try it.very awesome. for example the HD 7950 is 6X faster than my leadtek GTX 560 non ti.and 15X faster than my i7 2600. Download the OpenCL archive for your operating system. Extract that somewhere you can easily find it, you'll need to find it again in Blender. Now open up Blender. "File" -> "User Preferences" (Control + Alt + U) -> "Addons" tab -> "Install from file" (at the bottom). Browse to the folder you just extracted, select the zip file. My version is called "LuxBlend26_1.2.1_64bit_OpenCL.zip"
Now make sure it is enabled by making sure that it is ticked. If it does not show up automagically, click on the "Render" button at the left. "LuxRender" will show up in the list. When that is done, do the same, but with "render_smallluxgpu.py". Make sure that is ticked as well. Next, in Blender, at the top, next to the "Scene" textbox, change the render engine to "SmallLuxGPU"
At the right, in the "Render" tab, under "Full path to SmallLuxGPU's executable", enter the the path to "LuxRender_64_OpenCL\slg3.exe". Next, under "Full path where the scene is exported", enter the path for the exported scenes to be stored. Entering "//" here will store the exported files in the directory of your Blender .blend. If the "Rendering Type" is not yet set to "PathOCL", make sure it is. You could also try other "Rendering Types". Now render to your heart's content! Any other error messages, you can Google around. Edit: you have to add a sun lamp though: Shift+A -> Lamp -> Sun (S). In the "Object Data" on the right (sun icon), make sure "Sky" is enabled. thank Kylen! Now we must spread the News.. I think that AMD must use Smalluxgpu as an opencl promoting software as they do with luxmark Blender(compositing). I really hope this issue gets resolved soon. I'm getting ready to replace my amd radeon hd 4870 (It's getting long in the tooth). One of the things that will effect my next purchase for a video card will be Cycles support (I might be forced to go with nvidia, I don't like that idea). Anyway, thanks for all the effort so far guys! oh my god if only this get fixed soon imagine what event it will be on CG community. for it will be the time to build a beast powered by AMD. what great deal i dream every days about it. my employer are waiting for this to change every config in our studio. 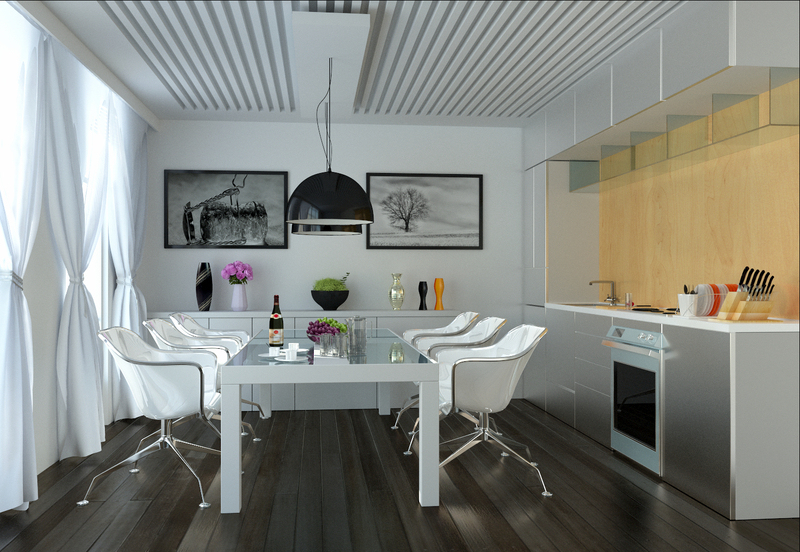 finally i've got two HD 7950 from club 3D for luxrender and try to give a chance to AMD device. I hope that I will never regret it. already i 'm in a testing stage. will send feedback later. if this experimentation outperform my old blender + cycles pippeline it will be great. Hi, I'm new here but I've been following this thread since summer. To sharlybg, I've noticed that you keep mentioning Octane Render, and it seems to me you are waiting for AMD to fix their problems with OpenCL so you can use Octane. Is my assumption correct? But I'm sorry but AMD cannot do anything for you right now in that matter. Octane Render is a CUDA software, and it requires an nvidia card. The are three ways you can get Octane to work on your AMD GPUs. One is if AMD decided to support CUDA, which I don't think will happen. And the second is if somebody makes a working Windows build of gpuocelot, but it looks like they are having problems building for Windows. Anybody here know about it? And the last way is if Octane devs at Otoy decide to support OpenCL. you dn't have to wait too long to render what you want under AMD graphique card. this is one of my final render with the HD 7950 from club 3d royal king.follow the steps described by Kylen to install Smallluxgpu.And enjoy your powerfull GCN GPU.I'AM Very happy today.Thanks to AMD. if you dn't believe us try Luxmark 2.0. Thanks sharlybg, for sharing your experiences. I hope smalluxrender will be helping a lot of people to accelerate their rendering. Also work to enable cycles is also under progress. Hopefully cycles will also work some time in near future. Thank you for looking into accelerating cycles. Luxrender is not sufficiently integrated into blender to make GPU acceleration an added-value experience (no live preview, which is the real gamechanger in an editing workflow). Thank you, for the taking this issue seriously! Still, is there any possibility, that one of the responsible developers give us a status report and a technical insight of the problem (and if they think / know, whether it's a software or a hardware limitation)? That would really help to bridge the time. AFAIK even Evergreen GPU family (5xxx) has support for function call so it is limitation of compiler. It is great to see that the OpenCL issue with Blender is being looked into. For interest, I have a Firepro V7900 which I will be testing once we have a solution, it will be interesting to see how the workstation and consumer cards match up. Many times I have considered ditching this card and going for a GTX 580 or a mid range Quadro but have held out because of the benchmarks I've seen with this card. A solution can't come quick enough! Thank you Himanshu and team for your work. No news again? waiting become too long without bit of news.yes i've get smallux work for me but it'is only me, and this render engine is features limited compared to Vray octane cycles and all this soft where artist want acceleration with AMD cards.some of us get completely discourage look at this ( Amd/ati Opencl+ Blenderheads+blender Cycles=harmony | Facebook ). is it so hard to solve this issues ? Now AMD is speaking about HSA for APUs and next HD 9000 volcanics island does it mean that radeon 7XXX series will never get cycles vray octane work ? why AMD why why ? we need true answer ? I am beginning to doubt these developers :S pretending to be working on this problem!? why dont we see any updates? I spend over 3000$ into your company, recommended you to friends and never had any trouble using your products. Happy customer is losing faith here! does anyone care? AMD? no, really not? Thanks, i had beginning to doubt that the developers were working on this but now i realized that indeed they're working on it and it seems it's going to run soon. better late than never, thank you amd. Well, it's semi-working with Windows 8.1 OpenGL 4.3 Beta preview driver. It compiles, but the final render has some serious artifacts. The latest OpenGL 4.3 13.8 Beta driver (released on 1st August), is a step back again: the kernel fails at compiling ("Error 103, insufficient resources"). yeah but now we know that they are doing something to fix it. I am expecting that next SDK version big feature will be compilation of big kernels. Good to keep waiting for a miracle at this point!. Much catalyst 13.8 but still awaiting solutions. Amd can spend some report or something at least as they are with blender cycles. As Brecht van lommel know is trying to create a compiler for OpenCL amd works with smaller blocks this will also help the nvidia graphics render very large files. Seeing that LuxRender are having serious problems and are discouraged with amd I think deveria to seek new solutions urgently. There is also an application online that have been made for amd took some desicion and urgently! Bueno a seguir esperando algún milagro a estas alturas!. Mucho catalyst 13.8 pero las soluciones siguen en espera. Amd puede pasar algun informe o algo por lo menos como estan con blender cycles. Por lo que se sabe Brecht van lommel esta tratando de crear un compilador para amd opencl que funciona con bloques mas pequeños esto tambien ayudara a las graficas nvidia en archivos de render muy grandes. Les dejo un motor de render para que vean. As of now I can just assure that AMD is taking blender issue very seriously. We hope to make blender work ASAP. Ton Roosendaal (Blender Foundation Chairman and Developer) just tweeted: Twitter / tonroosendaal: Mail of day: Apple is getting ... Now, Apple is on the boat aswell. This can only speed things up. Guys, I think we can expect Cycles Support VERY soon! New MacPro's are rumored to come out somewhere between September and November. Finally, this looks very promising! oooOh god if this happen .........? i will stop gtx 680 command and buy the next volcanic island gpu. Re: Amd , Apple ,Cycles blender and Openmp ? Solution for Amd render gpu? Re: I have bought a Amd / Ati Brecht van Lommel (creator of cycles to Blender). Re: Doubts about the progress of AMD Catalyst Linux? Re: Any time schedule about next APP SDK (v2.9?) ?